Junior Bucks is a platform designed to support and grow existing community basketball programs by providing additional benefits and incentives directly to players, coaches, and families. To be eligible, programs must have 50 of more registrants. What Will My Program Receive? Head coaches will receive a complimentary pair of tickets to this game. We recommend using these tickets to reward key volunteers, coaches, referees, etc. You may also raffle tickets off to help raise funds for your program. 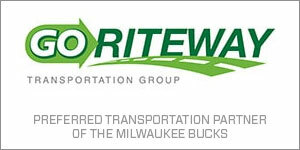 Ability to use the Junior Bucks logo on promotional materials, website, clothing, etc. Use the Bucks brand to help increase awareness for your own program! What Will My Players Receive? The ability to purchase discounted tickets for parents, family, and friends. Clinic to be based upon a mutually agreed upon date. How Do I Join the Jr Bucks Program? We know and appreciate that each basketball program is different. With that in mind, we would like to set up a meeting with your program’s decision maker(s) to develop a customized Junior Bucks experience for you. Please call Jamie DeMatthew at 414-227-0584 or send him an email at jdematthew@bucks.com to further discuss opportunities available.